A managed print services provider? Does our business really need a company to supervise printing? Sure, no business needs one, but the right provider could sure save you money. From helping pick the most cost-efficient equipment and supplies to providing data security, there’s many financial benefits to letting a trusted team manage your fleet. 1. A managed print service provider can help you save money on supplies. The right managed print services provider will be able to offer you competitive industry prices, oftentimes at a greater savings in bulk. Plus, they should know the ins and outs of all the big brands, helping you determine which models deplete ink and toner faster than others— yes, this is an unfortunate reality— and get you the best cost per page possible. Not to mention, they should be able to provide cost accountability, meaning the prices remain consistent from year to year and don’t spike after your first 12 months as a customer. 2. A managed print services provider can streamline your devices, reducing equipment costs. Like mentioned above, Consumer Reports' tests confirm that some printers use much more ink than others— and that using a less efficient model can cost you more than $100 per device, per year. Yikes! 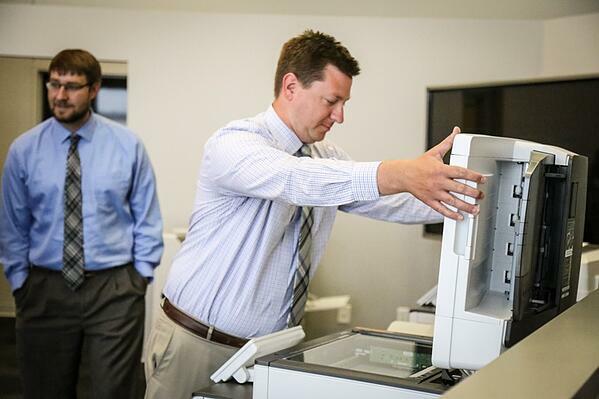 Chances are, your business has a few “old school” printers that are just not as efficient as modern print technology. 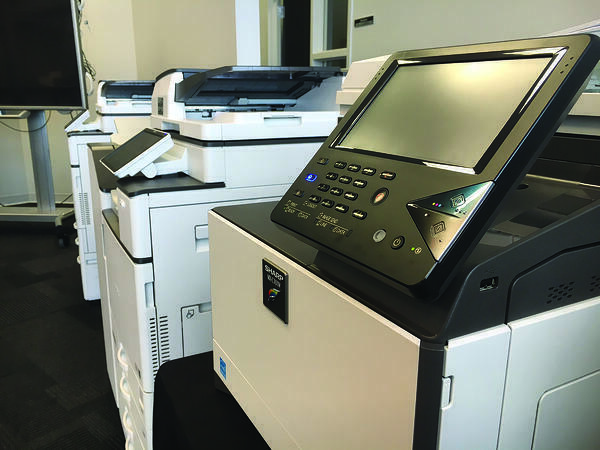 A managed print service provider can help your company determine what devices are ready to retire by eliminating underutilized or outdated equipment and answering some confusing questions. Is inkjet or laser print better? Is a printing speed of 1 or 50 PPM ideal? A managed print services professional should be able to help you understand all of this and more. Sure, you might need to invest in new devices, but the right printers can actually save you money in the long-run. Not only can these improved devices help cut company electric bills, but a high-quality equipment can omit the costs of outsourced printing for your marketing or branding materials. Bye bye VistaPrint, and hello in-house brochures, posters and more— without the wait or pricey shipping costs. 3. A managed print services provider will help to protect you against costly data breaches. Did you know that printers can be hacked just like your computer? Think of all the private documents you’ve printed. What would happen if your customer’s social security number or your employees’ checking account information got into the wrong hands? Many companies don’t realize that your print devices need to be regularly updated to install important security features. An outdated device could leave a security gap, allowing criminals can gain access to your corporate hard drives, steal private data or lock you out of your files. Oftentimes, these hackers demand a payment in exchange for your information back— a classic example of ransomware. Your printers could also become a “host” for malicious files, and with this code running secretly in the background, go completely unnoticed by your IT team. Read more about why you need to protect these often neglected devices here as well as these five dangerous misconceptions about data breaches. 4. A managed print services provider can help to digitize your documents to save on print expenses. Does your company really need to print as much as you do? Instead of filing physical reports, digital organization can instantly cut expenses. But making the switch to digital documents can be very time-consuming— scanning each and every page, determining a new internal system for filing and more. There are some companies who will take care of the document imaging pains for you, saving you the instant hassle and helping to save money down the road. Once all is converted, these companies can also utilize new technology to help you keep track of your remaining print jobs. For example, at Access Systems we use a software called PaperCut to monitor your usage and make recommended improvements. In addition, if a managed print services provider is transparent about their cost per page, it’s then easier to track your spending and make necessary adjustments for better return. Printing in-house can be harder to track on your own. These are just four ways you could cut costs by switching to a managed print service. There are others ways to improve your printing habits, but it’s difficult to understand your full potential without accessing your hardware and usage. Here at Access System, our team has you covered. We can run a print assessment, a two-week long analysis of your current printing infrastructure. After, we’ll present our findings and make personalized recommendations for cutting your print costs— specific to you. 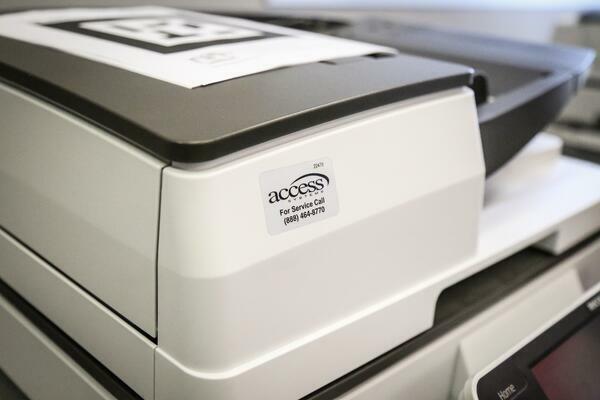 Request your print assessment today.